(1) Every registered taxable person shall, subject to such conditions and restrictions as may be prescribed and within the time and manner specified in section 35, be entitled to take credit of input tax admissible to him and the said amount shall be credited to the electronic credit ledger of such person. (2) A person who has applied for registration under the Act within thirty days from the date on which he becomes liable to registration and has been granted such registration shall, subject to such conditions and restrictions as may be prescribed, be entitled to take credit of input tax in respect of inputs held in stock and inputs contained in semi-finished or finished goods held in stock on the day immediately preceding the date from which he becomes liable to pay tax under the provisions of this Act. (2A) A person, who takes registration under sub-section (3) of section 19, shall, subject to such conditions and restrictions as may be prescribed, be entitled to take credit of input tax in respect of inputs held in stock and inputs contained in semi-finished or finished goods held in stock on the day immediately preceding the date of registration. (3) Where any registered taxable person ceases to pay tax under section 8, he shall, subject to such conditions and restrictions as may be prescribed, be entitled to take credit of input tax in respect of inputs held in stock and inputs contained in semi-finished or finished goods held in stock on the day immediately preceding the date from which he becomes liable to pay tax under section 7. (2A) or sub-section (3)in respect of any supply of goods and / or services to him after the expiry of one year from the date of issue of tax invoice relating to such supply. (4) The amount of credit under sub-section (2), (2A) or sub-section (3) shall be calculated in accordance with generally accepted accounting principles in such manner as may be prescribed. (5) Where the goods and/or services are used by the registered taxable person partly for the purpose of any business and partly for other purposes, the amount of credit shall be restricted to so much of the input tax as is attributable to the purposes of his business. (6) Where the goods and / or services are used by the registered taxable person partly for effecting taxable supplies and partly for effecting non-taxable supplies, including exempt supplies but excluding zero-rated supplies, the amount of credit shall be restricted to so much of the input tax as is attributable to the taxable supplies including zero-rated supplies. (7) The Central or a State Government may, by notification issued in this behalf, prescribe the manner in which the credit referred to in sub-sections (5) and (6) above may be attributed. allowed to transfer the input tax credit that remains unutilized in its books of accounts to such sold, merged, demerged, amalgamated, leased or transferred business in the manner prescribed. (10) Where the registered taxable person has claimed depreciation on the tax component of the cost of capital goods under the provisions of the Income Tax Act, 1961, the input tax credit shall not be allowed on the said tax component. Provided that the “principal” shall be entitled to take credit of input tax on inputs even if the inputs are directly sent to a job worker for job-work without their being first brought to his place of business, and in such a case, the period of one hundred and eighty days shall be counted from the date of receipt of the inputs by the job worker. Provided that the “principal” shall be entitled to take credit of input tax on capital goods even if the capital goods are directly sent to a job worker for job-work without their being first brought to his place of business, and in such a case, the period of two years shall be counted from the date of receipt of the capital goods by the job worker. Provided that the said “principal” may reclaim the input tax credit and interest paid earlier when the inputs or capital goods, as the case may be, are received back by him at his place of business. (1) The Input Service Distributor may distribute, in such manner as may be prescribed, the credit of CGST as IGST and IGST as IGST, by way of issue of a prescribed document containing, inter alia, the amount of input tax credit being distributed or being reduced thereafter, where the Distributor and the recipient of credit are located in different States. (1) The Input Service Distributor may distribute, in such manner as may be prescribed, the credit of SGST as IGST, by way of issue of a prescribed document containing, inter alia, the amount of input tax credit being distributed or being reduced thereafter, where the Distributor and the recipient of credit are located in different States. 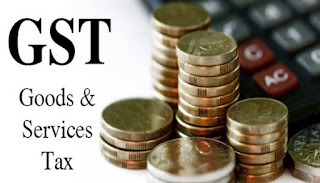 (2) The Input Service Distributor may distribute, in such manner as may be prescribed, the credit of CGST and IGST as CGST, by way of issue of a prescribed document containing, inter alia, the amount of input tax credit being distributed or being reduced thereafter, where the Distributor and the recipient of credit, being a business vertical, are located in the same State. (2) The Input Service Distributor may distribute, in such manner as may be prescribed, the credit of SGST and IGST as SGST, by way of issue of a prescribed document containing, inter alia, the amount of input tax credit being distributed or being reduced thereafter, where the Distributor and the recipient of credit, being a business vertical, are located in the same State. (d) the credit of tax paid on input services attributable to more than one supplier shall be distributed only amongst such supplier(s) to whom the input service is attributable and such distribution shall be pro rata on the basis of the turnover in a State of such supplier, during the relevant period, to the aggregate of the turnover of all such suppliers to whom such input service is attributable and which are operational in the current year, during the said relevant period.